Gloss99| Purplechic| Life| Fitness |5 Easy DIY Detox Drinks That'll Burn Calories Real FAST! Fact: Sipping at least 2 litres of water a day is the basic requirement (along with exercise and right diet) to stay healthy and lose weight. But sometimes, even that simple task seems totally arduous. So, here's a trick: Add a few interesting elements to your sipper. It won't just give your water a special, fun flavour, but'll also help you to get rid of toxins. Aloe doesn't just work wonders for your skin, it also makes a great detoxifying drink and helps strengthen your immune system. It's one of the few plants that contains Vitamin B12 apart from Vitamin A, C,E, and is also a rich source of minerals like selenium, magnesium, zinc, iron, calcium, manganese, and tonnes more. To make it, start by scraping off the pulp from the leaf. Mix it with equal amounts of lemon, honey, and a cup of water in a blender. This drink will help tackle high cholesterol, blood sugar, and effectively cleanse your body. According to Green Med Info, Ginger is extremely low calorie and is an excellent source of Vitamin B, C, E as well as calcium, iron, magnesium, manganese, phosphorus, potassium, sodium and zinc. This makes it a natural pain-killer and an amazing detox agent. On the other hand, lemon helps increase metabolism, and therefore speeds up weight loss. To make this, all you need is about a litre of water, grated ginger and some fresh lemon juice. This should always be consumed first thing in the morning, and will help flush out all the toxins from your body. 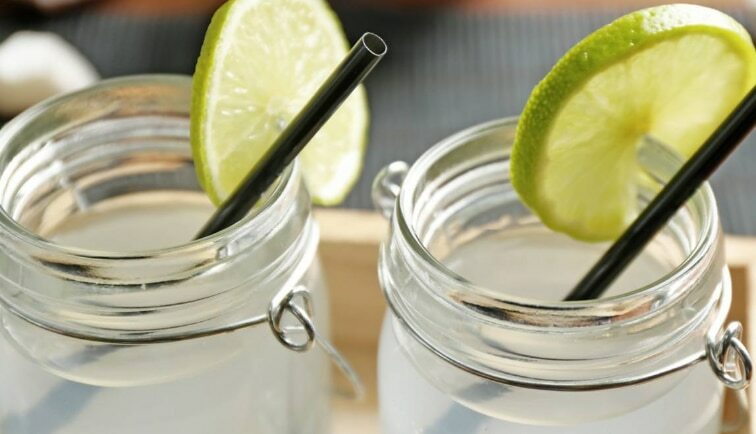 This is one of the easiest (and most effective) detox drinks you can make—it speeds up metabolism and flushes out toxins because cucumbers are anti-calorie foods that keep you hydrated (with 96 percent water content) while lemons are rich in anti-oxidants. Mint does its bit by helping to soothe the stomach in case of indigestion or inflammation. Here's a quick recipe—add a handful of mint leaves, sliced lemon and cucumber to a bottle of water. Leave it overnight in the fridge and your detox drink is ready. This is a perfect zero-calorie drink which can happily replace your daily Diet Cokes. A medium-sized apple contains 4 grams of fiber, and in turn keeps you feeling full for longer without you eating a whole lot of calories. Cinnamon isn't just delicious also speeds up metabolism and actually helps you burn belly fat. To make this high-nutrition drink, all you need to do is add thinly sliced apple and cinnamon sticks to a water bottle. Let this mixture sit for a few hours...and voila! Your infused water is ready. Rich in Vitamin A, B6, B1, C, and a potent storehouse of minerals like magnesium, potassium, copper etc, watermelon is a detoxing super-fruit. To make watermelon-infused water, you simply need to cut it into chunks and add it to a water bottle. Keep it in refrigerator for an hour, and you've got yourself a bottle of fruity goodness.